Take a note that this trick only for Hackintosh PC user with Clover as Boot loader. This trick works on my hackintosh so, if you are lucky then this trick could also fix iCloud and App Store Login issue.And also can fix your Ethernet not working on Hackintosh too! First Googling for Ethernet kext that’s work with your machine and download it, I use AppleRTL8169Ethernet.kext for my Mobo which is MSi LGA 775 DDR2 Professional Series. If you want to you can download Ethernet kext that i use HERE. When finish download copy kext to EFI > EFI > CLOVER > 10.10 folder if OS X version is Yosemite, 10.11 for El Capitan and so on, no need to install in System > Library > Extension. 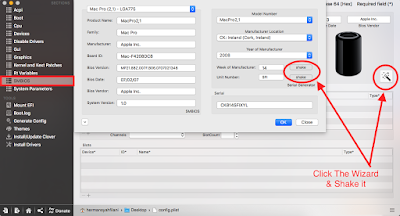 To mount EFI partition use Clover Configurator that you can found HERE. 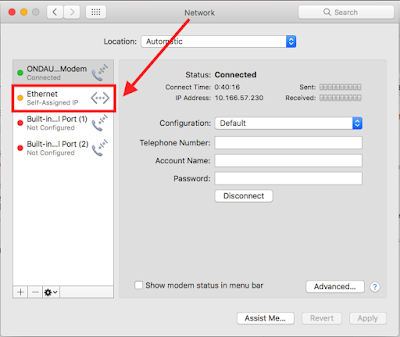 When done reboot PC, log in to Mac and go to System Preference > Network you should see “Ethernet” in Network list now, and it should be just “Ethernet” not “Ethernet en0” see pic below. Connect to internet and try to sign in to iCloud, it’s not necessary to use Ethernet for internet connection you can connect via wi-fi or GPRS Mobile Modem no problem with that. Oh ya! if I am right, Ethernet kext that I use should work for most of Ethernet card. For conclusion and you to taking note that every Hackintosh thing is only for “fun” and for educational purpose only. If you really love macOS X system you should buy a real Mac by Apple. I am not posting how to fix iCloud and App Store login issue using Chameleon/Enoch boot loader because there’s many peoples already covering about the topic. So, this is only for you who using Clover as your hackintosh boot loader. By the way! hope this post can help you out! and happy hackintoshing! Thanks for stopping by! Good Luck & Regards!